Over the counter (OTC) throat lozenges could be contributing to antimicrobial resistance (AMR) according to research presented at this year's European Congress of Clinical Microbiology & Infectious Diseases (ECCMID) in Amsterdam. A number of medications used to treat sore throats contain topical antibiotics. Many of these products are available in various European countries including the UK. However the research commissioned by Reckitt Benckiser Healthcare Ltd, found the concentrations of these topical antibiotics were not high enough to kill some bacteria. This could contribute to AMR. 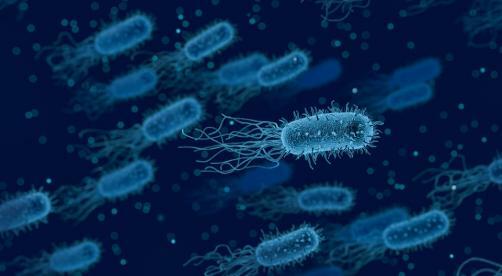 The researchers exposed the bacteria Staphylococcus aureus, Acinetobacter baumannii, Streptococcus pyogenes and Haemophilus influenza to decreasing concentrations of the antibiotics neomycin, bacitracin and tyrothricin, at a temperature of 37 °C. While some of the antibiotics worked against some of the bacteria at the concentrations used in cough sweets, S. pyogenes showed growth in very week concentrations of neomycin while S. aureus showed growth in higher concentrations after 144 hours. The S. aureus bacteria were also discovered to have developed cross resistance to gentamicin, fusidic acid, and ciprofloxacin. “We were concerned to find that some of the OTC antibiotics used in sore throat preparations were not sufficiently concentrated to prevent growth of common human pathogens and are enabling these pathogens to develop resistance. In addition, exposure to both standard and diluted concentrations of bacitracin was associated with clinical cross-resistance to other antibiotics,” Adrian Shephard of Reckitt Benckiser Healthcare Ltd, said. “This was an interesting study that showed once again the potential of bacteria to adapt to chemotherapeutic antibiotics highlighting the need for a prudent and perhaps controlled use of antibiotics in practice,” co-author Jean-Yves Maillard, Professor of Pharmaceutical Microbiology at Cardiff University, said.